Sharevest is a revolutionary investment exchange that brings together business owners and investors in one place. Sharevest is unique in pioneering the first global exchange that allows you to buy, sell or trade stock ownership in the same place, at any time providing instant liquidity to private markets. We provide founders and shareholders with a platform from which they can showcase their company and its value. The Sharevest platform creates liquidity within the primary and secondary markets by building a central platform for business owners, shareholders and investors. The platform merges the best of crowdfunding, peer to peer lending and public market trading. It also uses the blockchain technology to enable instant transactions, low transfer fees and borderless investments with minimal bureaucracy. Investors will be able to buy into companies through fiat and cryptocurrency. Sharevest aims to be the marketplace for startups, growth companies and SMEs by bridging the gap between the stock market and the primary and secondary markets. The platform will provide vast market data on companies looking for funding making it attractive to venture capitalists and high net worth investors. In addition, ShareVest will have a strong global community of individual investors, with various levels of wealth, who are seeking new opportunities to invest in the future. Our aim is to build a platform that enables our community to make more informed decisions. The distributed ledger technology (DLT) will be at the centre of all exchanges in the future, bringing unrivalled efficiency, transparency and security. Globalisation has brought opportunities for entrepreneurs to offer products and services to a global market, creating the need for global investment. Sharevest provides a global marketplace to exchange equity for capital to the private markets, bringing growth on a global level to startups and SMEs. The Sharevest convertible token (SVX) will enable us to build this revolutionary platform. • Engineering and Development: (21%) Developing the ShareVest platform and all its features including: a distributed ledger; machine learning and artificial intelligence; hiring technical resources; and establishing the infrastructure to support development and maintain the system load. 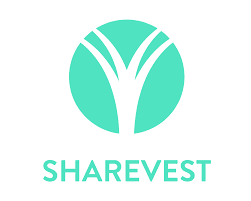 • Investment Opportunities: (20%) Sharevest Investment Fund will invest to exciting growth fintech companies. We will utilise some of the resources to onboard companies into our ecosystem by investing in them. • Marketing & Sales: (20%) Developing key financial relationships; executing the marketing plan and partnership strategy with funds and companies to expand support of the ShareVest platform; and grow the number of adoptions. • Operational Expenses: (20%) Grow the development team to achieve all milestones raised in the timeline; hiring administrative and legal staff to ensure the framework complies with the FCA agreement; and rent for the office and other utilities. • Partner Engagement: (10%) Developing relationships with Companies House, asset management companies, company registration platforms and private company data houses; investigating possible joint ventures; and exploring incentives to drive platform adoption. 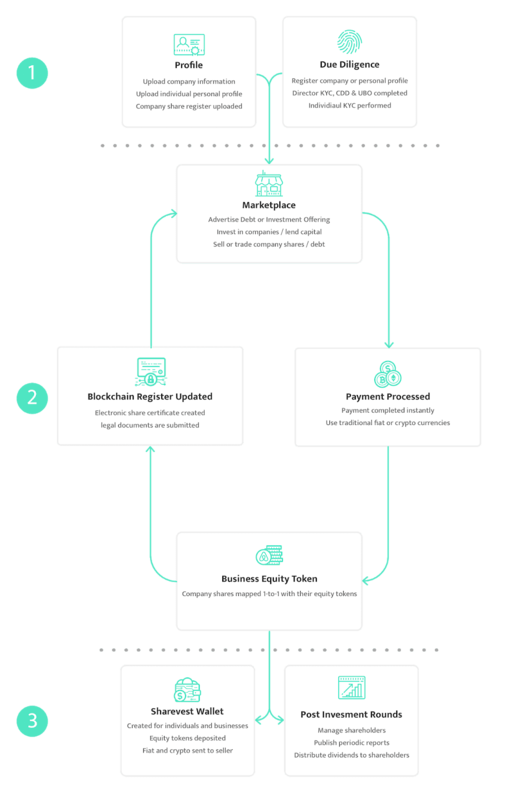 • Legal & Regulation: (10%) Establishing legal entities; complying with the ongoing regulatory framework for ICOs Cryptocurrency, Trading, AML, KYC, CDD; accounting expenses; incorporation; and other legal obligations. MILESTONE 1 (December 2016) Company Founded The Sharevest concept is created after strategic blockchain meeting with C-level executives at Credit Suisse.